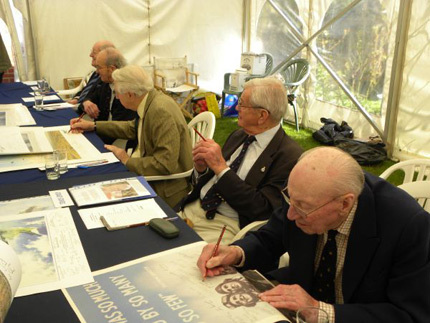 The Museum was pleased to welcome 9 wonderful veteran pilots for the signing event and the very dear gentlemen attending were, Peter Ayerst, Nigel Rose, Tony Iveson, Rodney Scrase, Jimmy Corbin, Richard Jones, Paul Farnes, Bill Green and Peter Brown. Eager signature hunter-gatherers queued early, and nearing the start time the queue of visitors keen to meet the pilots grew ever longer and happily after a dull start on the weather front, the sun came out to play to help warm up proceedings. Throughout the morning session the queue to see the pilots and have treasured prints, books, etc signed continued to grow. As an added treat for visitors, the terrific Biggin Hill based ‘Kent Spitfire’ performed an evocative and spirited display in a clear blue sky over the Museum to delight all on the ground. After a break for lunch the afternoon session continued to see a steady stream of visitors wishing to say “Hello!” to the pilots. As the event drew to a close, everyone could reflect back on a glorious and successful day. A massive vote of thanks goes to the pilots for all their hard work and tireless enthusiasm in greeting visitors both young and old. 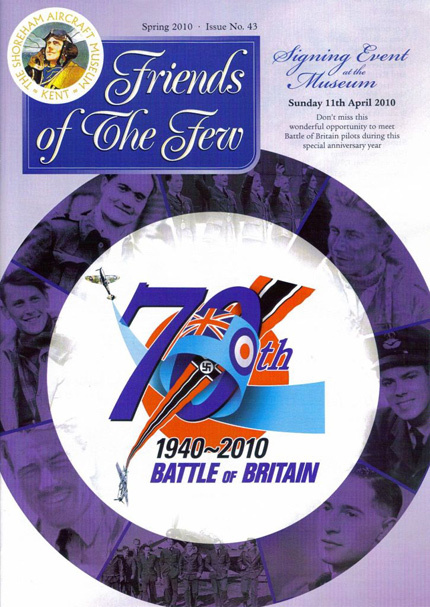 For all who attended, it was a great privilege to be in the company of some of ‘The Few’ in this special 70th anniversary year of theBattle of Britain. The Easter weekend saw the Museum open for the 2010 season with a bigger layout courtesy of the new extension, along with new exhibits and attractions. The long hours of hard work over the closed winter period proved worthwhile with many favourable comments from both new and our regular visitors. 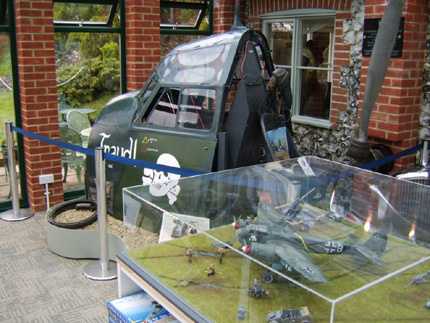 One main highlight is the relocation of the Schnellbomber cockpit section into the new extension along with a large scale model of a Junkers Ju88 to compliment the main exhibit. The Teagarden has also seen new changes with more of the garden being made accessible for visitors to enjoy and relax in. 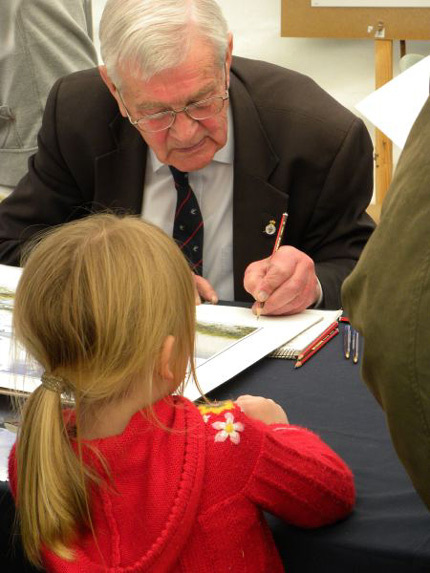 You are currently browsing the Shoreham Aircraft Museum – News archives for April, 2010.